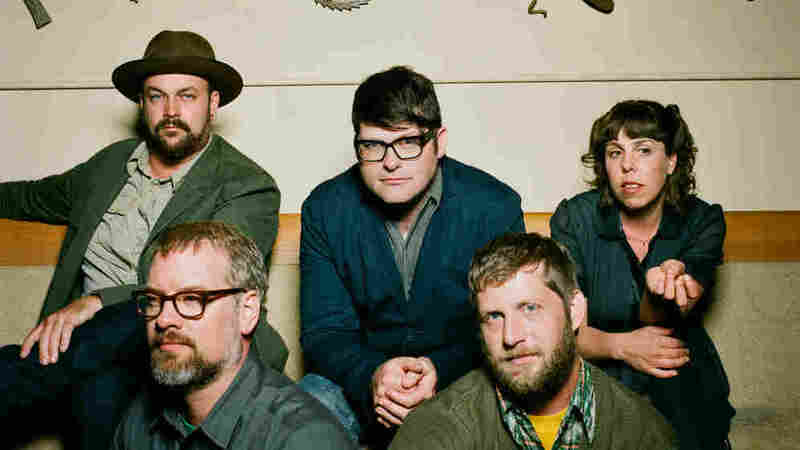 Vintage Cafe: The Decemberists : World Cafe For this installment of our Vintage Cafe series, we revisit a chat with the Portland, Ore., quintet that took place upon the release of The King Is Dead in 2011. The Decemberists' members perform songs from The King Is Dead on World Cafe. The Decemberists have been on hiatus for quite a while — so long that the non-Colin Meloy members of the band have their own group, Black Prairie. We love these musicians together, and that's why we picked their session from 2011's The King Is Dead to feature on Vintage Cafe. At the time of its release, the album was celebrated as a return to straight-ahead folk-rock, and not as thematic a record as The Crane Wife or The Hazards Of Love. This World Cafe segment originally aired on Jan. 21, 2011.